Fisheries Minister Dave Kelly today announced the location for Exmouth’s new Integrated Artificial Reef (IAR). The new $1 million artificial reef will be one of Australia’s largest artificial reefs and will be located near the Exmouth Boat Harbour inside the Exmouth Gulf, providing the community with new safe and accessible fishing opportunities. More than 27,000 cubic metres of concrete and steel structures will be installed on the sandy bottom of the Exmouth Gulf. The project brings together world-leading engineering solutions and science-based habitat enhancement, all to benefit recreational fishing. Local WA company and world leaders in artificial reef architecture, Subcon International, received funding to develop the reef from last year’s round of the Recreational Fishing Initiatives Fund (RFIF). 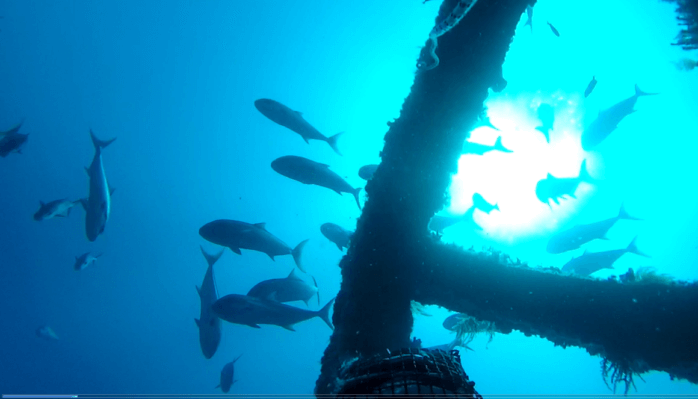 The Exmouth reef differs in both size and design to WA’s other artificial reefs. A mixture of steel integrated with concrete will form the reef’s 58 modules, which will range in height from one metre to 10 metres and laid out across two acres on the ocean floor. Once deployed, the 27,000 cubic metres of reef volume will be equal to that of 11 Olympic-sized swimming pools. 25 per cent of recreational licence fees collected by the Government, goes to the RFIF for investment back into the sector. A further 15 per cent of licence fees goes towards funding for Recfishwest, with the balance of licence fee money supporting fisheries management through the department. “I am very pleased to announce the location of the Exmouth Integrated Artificial Reef, which will create a new, accessible, safe fishing location for recreational fishers. “I look forward to seeing the artificial reef, which was partly funded by the State Government, effectively enhance the recreational fishing experience in WA. “Thousands of people descend upon Exmouth for a fishing getaway but sometimes the winds and swell is unfavourable. “This new reef will offer tourists and locals an alternative fishing in the safety of the gulf, which can only add to the appeal Exmouth has as an iconic WA fishing destination.